This carefully selected compilation of the significant writings of the great political philosophers, scientists, and thinkers has long been an invaluable guide to the general reader as well as to the serious student of history, political science, and government. Such essential forces as Revolution, Idealism, and Nationalism are examined in detail and expounded by their leading exponents. Professor Curtis has written running commentary that places the extracts and their authors in the sequence of modern history. Jean-Jacques Rousseau (1712-1778) is the first great modern political philosopher. He is a watershed in political theory, not only because of his preoccupation with ideas and themes that are of contemporary significance, but also because all modern political thought, in a sense, derives from and has been influenced by him. His philosophy is highly personal, an expression of his own fierce insistence on independence and liberty, but at the same time, paradoxical and complex. His inconsistencies can be fully explained only in the light of his own psychological history and emotional experiences. Rousseau was courageous and sincere, sensual and sensitive. A native of Geneva, he admired the qualitiesasceticism, puritanism, insistence on right rules-associated with that city. He dedicated his Discourse on Inequality to the citizens of Geneva. When, in 1762, the city disapproved of his Émile, he renounced his citizenship and attacked the city council in Letters from the Mountain. Deeply moved by injustice, and concerned about any degradation of man, he was intensely individualistic and independent. Though he lived off the patronage of wealthy women for some years, he refused to attend the court when ordered to after the successful production of his operetta. He was a man who loved mankind, but who quarreled with all his friends and was unable to get on with his fellow men. The philosophes attacked him during his life, as Voltaire had done in Le Sentiment des Citoyens, and after his death as Diderot did in his Essai sur la Vie de Sénèque le philosophe. No one fully escapes the dazzling appeal of Rousseau. "He said nothing new, but set everything on fire," said Madame de Stael. His emotional style, as well as his ideas, produced a considerable impact both on thought and on social behavior: on the behavior of Marie Antoinette playing at being a shepherdess in her Versailles garden as on the political ideas of Marat and Robespierre. His novels led fashionable women sometimes to dreams of romantic love, sometimes to the need for feeling deeply toward their children. His denunciation of luxury and of artificiality, his opposition to sophistication and his praise of simplicity, his appeal for natural behavior and education, his emphasis on natural impulses, all contributed to this impact. Different and conflicting schools of thought claim Rousseau within their inheritance. He has been seen as an individualist, federalist, democrat, advocate of world peace, romanticist, patriot, prophet of totalitarian democracy, all with some justification. He has contributed to the image of General de Gaulle in France -- the contemporary embodiment of the Rousseau legislator-and to current views on politics in the newer nations of the world. Throughout Rousseau's writings, there are remarkable insights. Some of his writing, on institutional arrangements and educational practice -- the Project of a Constitution for Corsica, the Considerations on the Government of Poland, the educational advice in Emile, show both his wisdom and moderation. But, like Plato, he concerned himself with significant issues-the nature of morality, the definition of and the need for liberty, the belief in human integrity, the right kind of life, the correct kind of educational system both for individual and social needs, the return to a natural life, the creation of a stable consensus in society, the reconciliation of individual liberty with the need for the right rules, the manner in which man could participate politically in an effective way. In the Social Contract of 1762, Rousseau made his most influential contributions to theory with his concept of the general will, the real source of legitimate authority. To this he added the need for a legislator to found the political system, a civil religion to bind the community together and an educational system which would create citizens and make them patriotic, both through teaching and games. It is these ideas that have led to the attacks on Rousseau by recent writers as the herald of totalitarian democracy, based on the premise of a sole exclusive truth in politics which necessarily leads to a system of coercion. The most disputed of Rousseau's concepts is the idea that it is just and proper to compel an individual to obey if he thinks he has an interest different from the common interest as expressed in the General Will, which is always right and tends to the public advantage. Coercion is justified by reference to the common good; an individual "may be forced to be free." But it is the Rousseau informed by an underlying spirit of equality, aware of the need for a unified, free community, for an economic system which would introduce approximate equality, for a system of morality which would allow men to possess a sense of purpose and for a political system in which all can act freely and responsibly, who has been a more significant influence on liberal thought. The Marquis Antoine Nicholas de Condorcet (1743-1794) was the most eloquent of the late eighteenth-century advocates of the ideas of progress, rationalism and liberalism. His Sketch for a Historical Picture of the Progress of the Human Mind, written in 1793-4 while he was in hiding for fear of the guillotine, was a plea for emancipation, for social improvement and for better education based on humane, liberal principles. For Condorcet, the acquisition of knowledge had always led to the improvement of man, and history was therefore the story of the progress of the human mind. In all the nine epochs of history there had been a cumulative increase in knowledge, and the growth of truth and science over error and superstition. The ninth period-the era of Descartes and the French Revolution-was notable for political concepts such as reason, equality and rights, as well as for scientific advance. The next period would be one of limitless advance, with both man and his environment improving indefinitely on the basis of social cooperation. The tragic fate of Condorcet himself was sadly to belie his optimistic picture of the future. But his work remains as testament to the belief in universal human progress which the historian J. B. Bury called the animating and controlling idea of Western civilization. 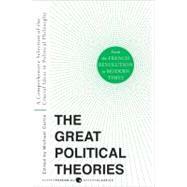 A Comprehensive Selection of the Crucial Ideas in Political Philosophy from the French Revolution to Modern Times. Copyright © by M Curtis. Reprinted by permission of HarperCollins Publishers, Inc. All rights reserved. Available now wherever books are sold.